4 oz. Circa 2009 Body butter is an excellent skin moisturizer for people with dry skin, eczema and psoriasis. The key ingredients used help heal dry, chapped skin and also works great as a massage cream, and foot softener. A small amount can be used daily from head to toe. 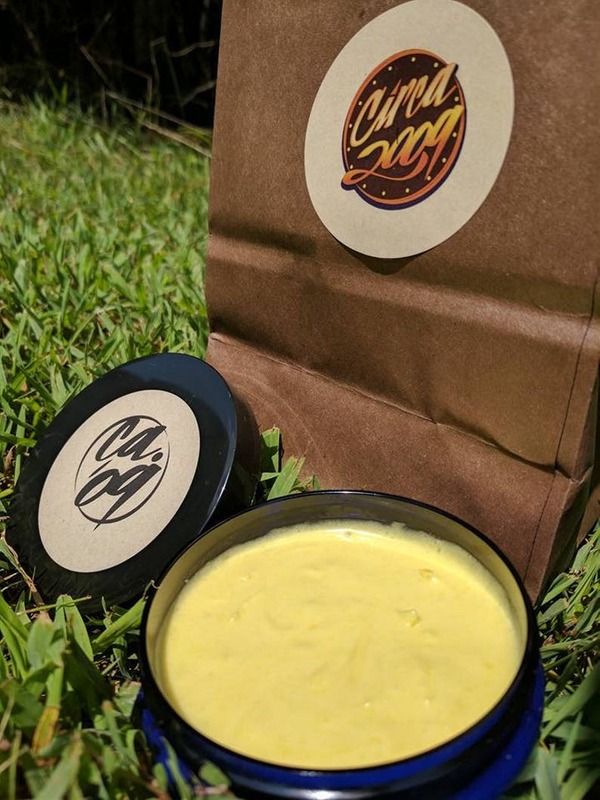 Whipped moisturizer - Raw Shea , Cocoa, and Mango Butters. Virgin Organic Coconut Oil, and a proprietary blend of quality essential oils. Fragrant and Moisturizing even for some of the driest skin. Try this creamy, moisturizing, all-natural body butter is excellent for hair and skin. Texture and consistency of certain natural oils and butter may vary based on temperature. Coconut Oil, and Essential Oils for a creamy blend your skin and hair will love! Body Butter Sandalwood 4 oz.